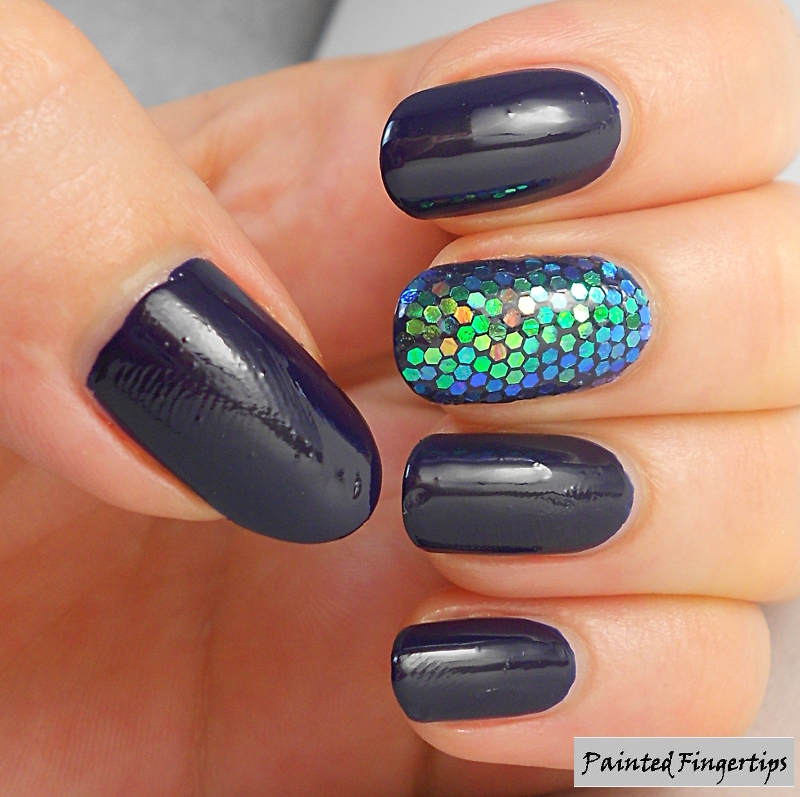 glitter, glitter placement, mermaid, tip top, tip top in the navy! I have something extra special to share with you today. Glitter placement is nothing new, but it’s the first time I’ve tried something quite like this. I have done glitter placement before, but with much larger glitters. I have a set of various glitters I bought ages ago from Bundle Monster. When I was looking for a specific one the other day, I happened to notice the set included some opalescent hexagonal glitters… and I knew I had to do a glitter placement look. I just couldn’t stop staring at my nails with this on! It was almost like wearing an amazing multichrome polish because the colours would change depending on my angle. It’s just so sparkly! I did prefer the final full-on glitter look though! My initial idea when doing these nails was Mermaid nails, but when they were done the colouring made me think more of dragon skin. Well, whether I’m turning into a mermaid or a dragon rider, my nails are going to look on point! What do you think? Mermaid or dragon? These are great! I have always wanted to try this but I’m just too scared lol maybe at some point this year I’ll try it! oh my goodness, what perfect glitter placement! 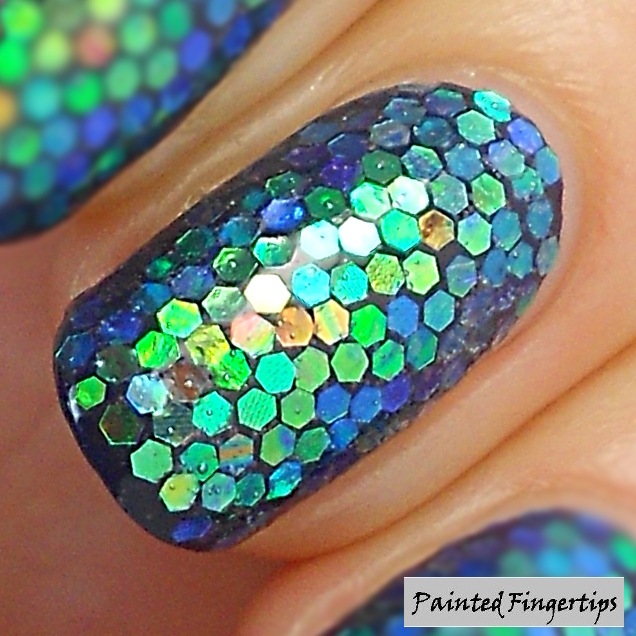 This mani us so awesome!!! 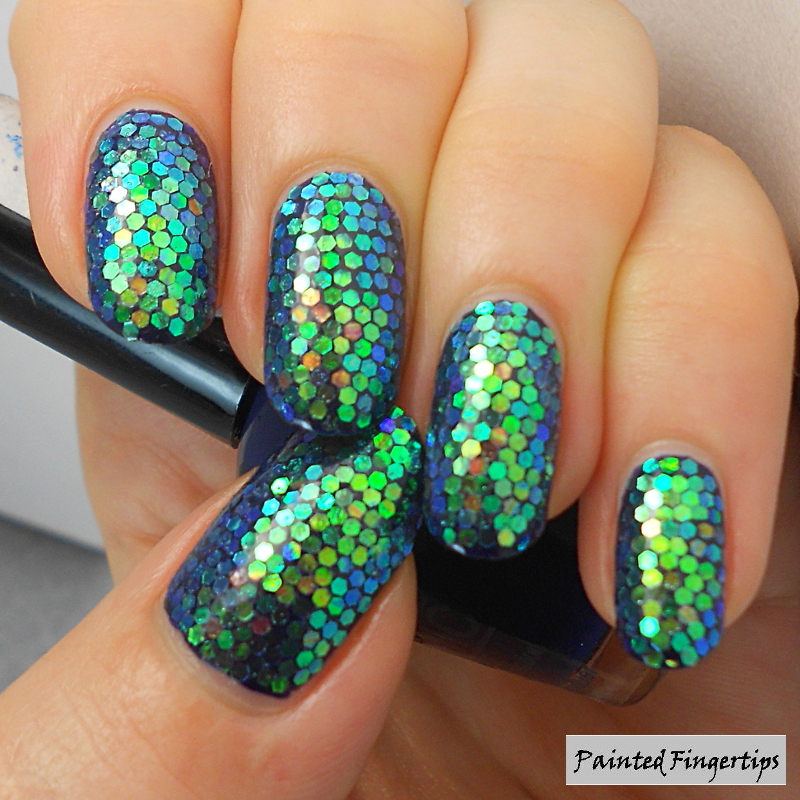 A mermaid’s tail is what popped in my mind as soon as this mani appeared on my screen. It’s very creative and beautiful. How about a mermaid riding a dragon?! I bow down to you. I tried doing this once on one nail and about lost my patience. This looks amazing! Wow! Mermaid, or Rainbow Fish!